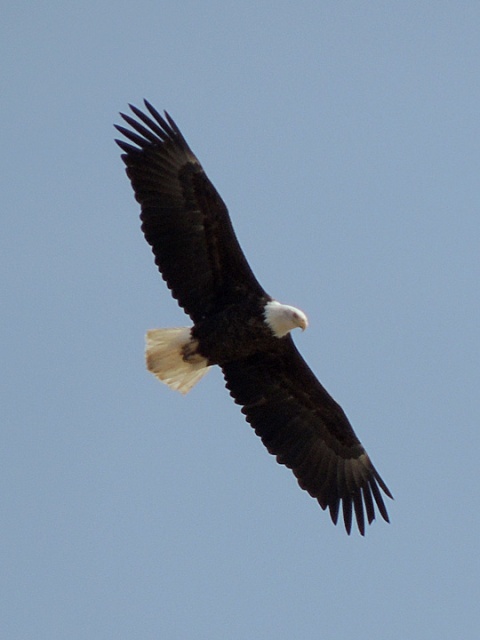 Bald Eagle soaring over the Kittitas Valley northeast of Ellensburg, WA. March 15, 2014. Nikon Coolpix P510.